Something significant has happened for the first time in 4 Million Years. Carbon dioxide has been rising since the start of the Industrial Revolution, setting a new high year after year. The last station on Earth without a 400 parts per million (ppm) reading has reached it! 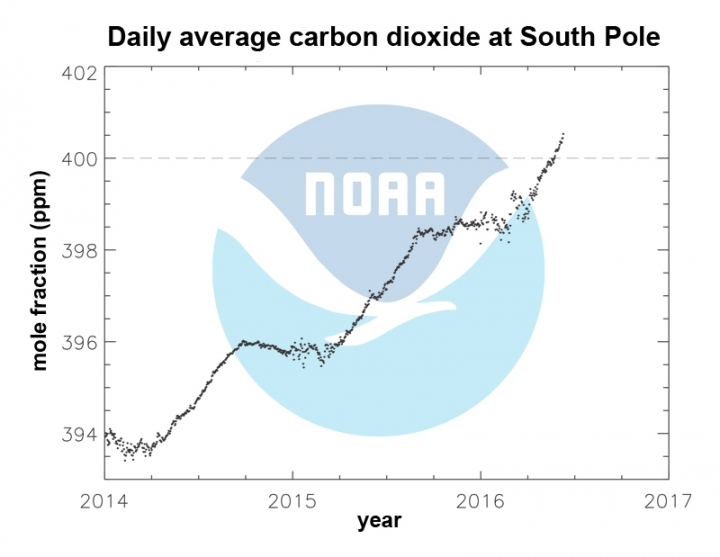 Carbon dioxide officially crossed the 400 ppm threshold on May 23, 2016, at the South Pole Observatory. Carbon dioxide is a colorless and odorless gas vital to life on Earth. This naturally occurring chemical compound is composed of a carbon atom covalently double bonded to two oxygen atoms. Human activity however has increased carbon dioxide levels to dangerous heights.